Preparation: If you are going to play in the water or fountain area, bring towers, extra clothes for change. bring water shoes or sandals is also a good choice. 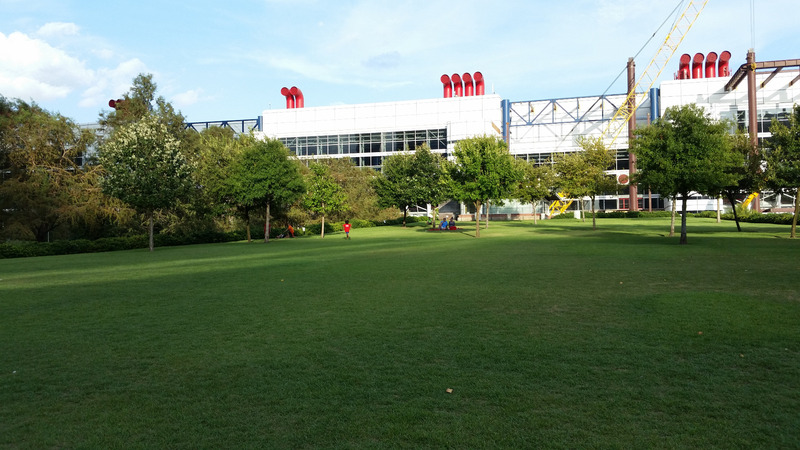 General opinion: address: 1500 McKinney Houston, Texas 77010 It's a 12 acre park with a lawn of green grass, a water area, fountains, a playground with soft rubber ground and sculptures. There are also restaurants and restrooms. 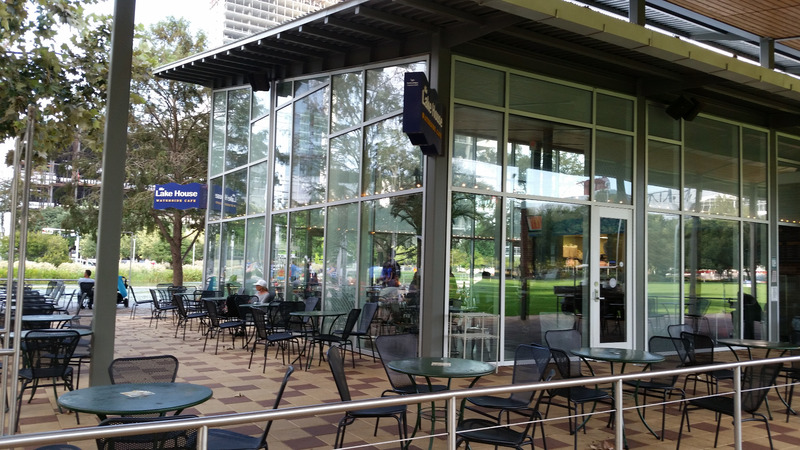 If you're working in the downtown of Houston and want to have a moment to walk outdoors or talk with friends outside, the park is a great place to go. 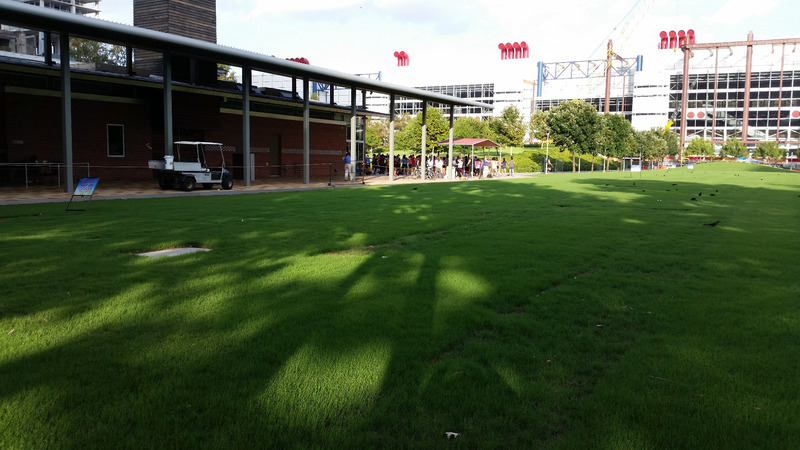 Attractions and activities: There is an area for the aerobic exercise. Wednesday evening has free class. in the first week of Aug I went there and did about 15 minutes or so exercise there. There were almost a hundred people there and there was no enough space. Some of them had to dance besides the lot. 2. 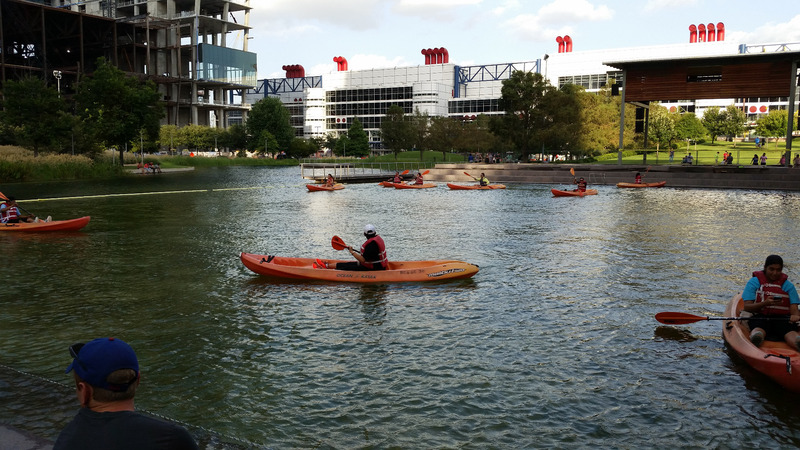 In the water area, on Wednesday, there is usually a free paddling class ( got to be there before 6:15pm, otherwise there will be no space for you), 6:30pm - 7:30pm; and in the following hour, the is a $5 fee for Kayak Polo activity. I've seen several gentlemen who are very good at the Kayak Polo and played like in a professional competition. It is fun and you get chances to know more people although the water area isn't that big. 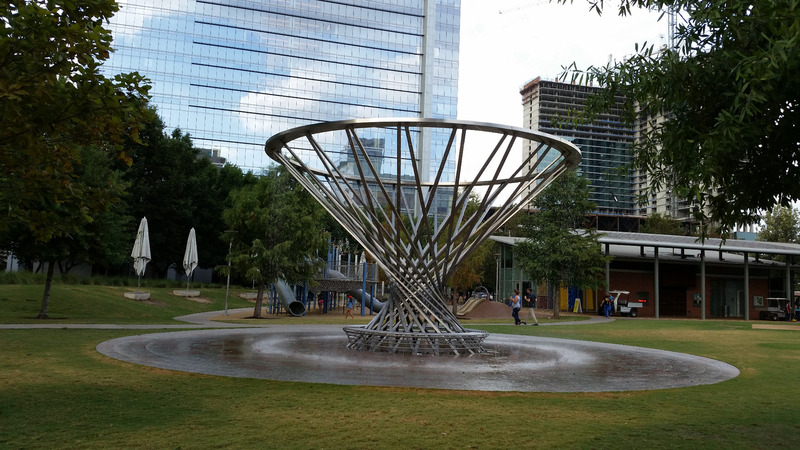 3. in the summer, there is an area for the kids playing water in the small fountains. Dining: There are 2 restaurants there. Commute: There are open parking spaces and street meter parking. After 6:00pm, the metered parking is free.